During Christmas time everyone seems to become more friendly and more willing to give. Our hearts seem to be more open to the idea of sharing our blessings with other people. Why is that? The simple answer is, Christ. Christ is the reason that we have Christmas. Christ set the example of how we should treat each other. It then makes perfect sense that as we participate in a season devoted to our Saviour, we begin to emulate Him. The life of Christ was a life filled with giving and love for others. Whether teaching or sharing or healing, He was always giving of Himself to those around Him. I think that it is wonderful how giving we become every year around the Christmas season. Yet, as Christmas day comes and all the presents are unwrapped and decorations taken down, I wonder, why is it that we can be so filled with the love of Christ one month and the next be back to our regular selfish routines. If only the spirit of Christmas could last the whole year long. But wait… cannot the spirit of Christmas linger with us for more than just the Christmas season? Christmas, after all, is based on Christ. We know that as we focus on the meaning of Christmas our hearts are softened. We know that the meaning of Christmas is Christ. We do not need presents wrapped in pretty paper, or colorful lights, or merrily decorated trees to remind us of Christ. Everything around us can remind us of Christ. As we read the scriptures every day, as we attend church and other religious meetings, as we meet together often to talk of Christ, we will be focusing on Him. The more we focus on Christ, the more we become like Him. The more we become like Christ, the more giving we will be all year long. 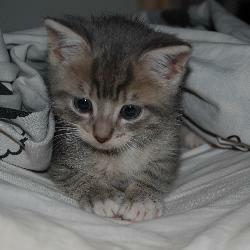 If you love kitten’s then you will enjoy the Kitten War. Watch these kitties duke it out as they vie for your affection. I was once again listening to Dr. Paul’s Podcasts and he and the person he was interviewing were talking about “the stories we form in our mind about our experiences.” In essence, how we allow our experiences affect us is greatly determined by our perception of reality. We all perceive reality differently (which makes me wonder how any of us communicate anything successfully). 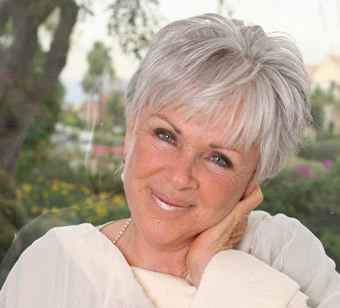 Most of this podcast that I listed to this morning had to do with “The Four Questions” that were created by a lady named Byron Katie. The four questions help us analyze our perception of events that we find personally offensive or painful. Take a moment to visit her site and click on one of the “The Work in Action” video links. Let me know what you think. Never mind. I think everyone should watch ALL of the “The Work in Action” videos. Really quite amazing, painful, humiliating, and entirely necessary that everyone in the world understand the concepts that she is trying teach.